Is this term being used correctly? Can’t we simply use the terms 'fitness' or 'physical fitness' instead? Where is the term used? Many trainers and clients in the health and fitness industries nowadays use the term Health-Related Fitness. But is it being used in the way it was first intended? And so most people conveniently 'lump' fitness-related terms together to mean the same thing. This unsurprisingly causes confusion when it come to distinguishing 'fitness' from 'health-related fitness', as well as other aspects and notions. There is no reliable guide for Health and Fitness professionals to measure 'physical fitness', because the term has been so loosely and inconsistently defined. It is in this light, that we should consider the concept of Health-Related Fitness. According to the President’s Council on Physical Fitness (PCPFS), "Health-related physical fitness consists of those components of physical fitness that have a relationship with good health." Physical fitness, within the realm of Health-Related Physical Fitness, is therefore a set of 'measurable' characteristics, or Components. Broken down, the 5 Health-Related Fitness Components are: Cardiorespiratory Fitness, Body Composition, Muscular Strength, Muscular Endurance and Flexibility. The authority on Health-Related Physical Fitness assessment is the American College of Sports Medicine (ACSM). 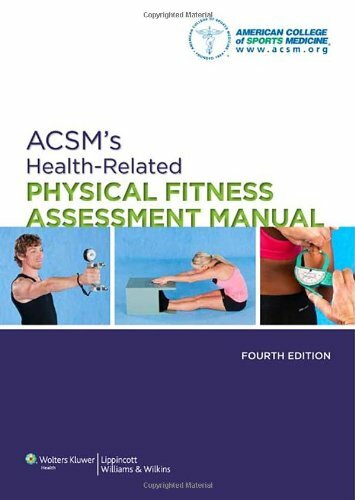 ACSM's Health-Related Physical Fitness Assessment Manual is an indispensable tool which provides thorough guidelines for the assessment of Health-Related Physical Fitness. This publication also refers to doses of activity and/or exercise required to produce health benefits. According to the Centers for Disease Control and Prevention (CDC), the definition of physical fitness emphasises the difference between health-related physical fitness and athletic ability physical fitness. Its point-of-departure is the health of the US nation, which is often referred to as the "public health perspective." In this regard, the 5 health-related fitness components are more important than those related to athletic ability (or skill-related components). The definition of health-related fitness also shows this concept's integral association with 'good health.' However, the 5 components are addressed individually by health professionals to allow for their measurement. Now that we know what the term means, what's its purpose? Continuing from the definition above, the objective of measuring the 5 components is to advise clients about the state of their health-related fitness, and to use data obtained from the tests to design appropriate exercise programs which can then be evaluated. It is intended that all 5 components contribute–to make up a holistic health-related physical fitness. So in sum, health-related physical fitness is of interest to the health of the ordinary citizen (including Al), in that the concept is normative. Regular or planned physical exercise can improve overall physical fitness (functional fitness) as well as health-related fitness. However, overall fitness is a generic term and is up to subjective interpretation, while health-related fitness can be assessed. The distinction therefore, between the 2 terms, exists in that health-related physical fitness can be measured according to a set of established comparative norms. NOTE: 'Health-Related Fitness' and 'Health-Related Physical Fitness' are often interchangeably used when referring to the same concept. Who needs to know about the term's use? You now have a fairly good idea about 'health-related fitness' and that it's measurable. You've also seen the link above to ACSM's Assessment Manual. Well, if you're a Fitness Trainer or professional, you can employ these standards in your studies or daily work. The Assessment Manual is invaluable for this. On the other hand, if you're like 'Al' and simply wanted the term health-related fitness clarified, I hope you're in the picture now. If you're looking for a fitness program or to get you into shape, why not take a look at the Sensible Fitness Program, or contact me if you have a custom query?